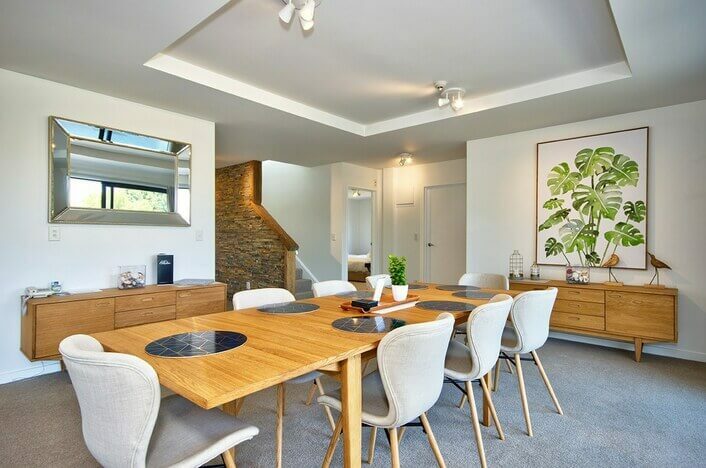 Tasteful decor are your first impressions as you enter the Glebe's Walter Peak Penthouse. 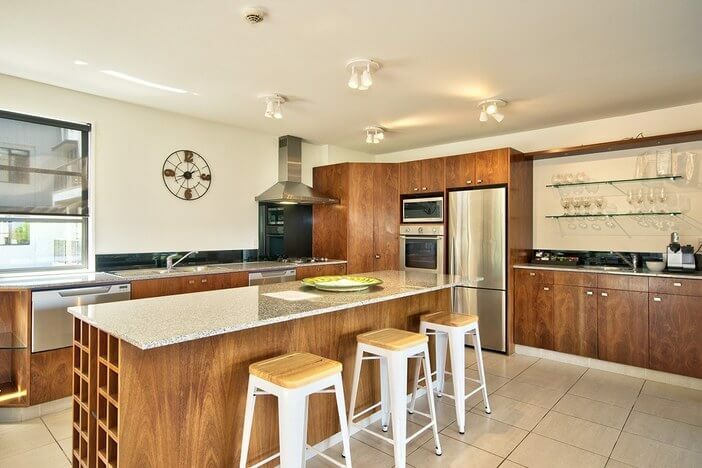 Gourmet kitchen, Spacious balconies situated to take full advantage of the afternoon sun. 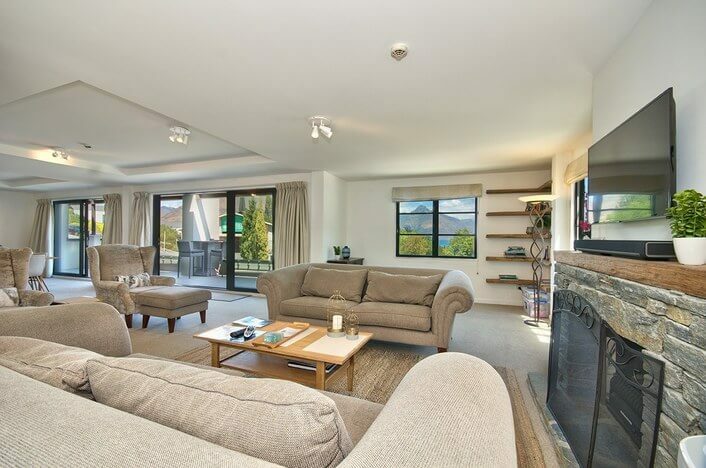 Perfect for families or groups of friends, the Walter Peak Penthouse is an ideal centrally-located base for your adventures in Queenstown, NZ's premier four-season resort. 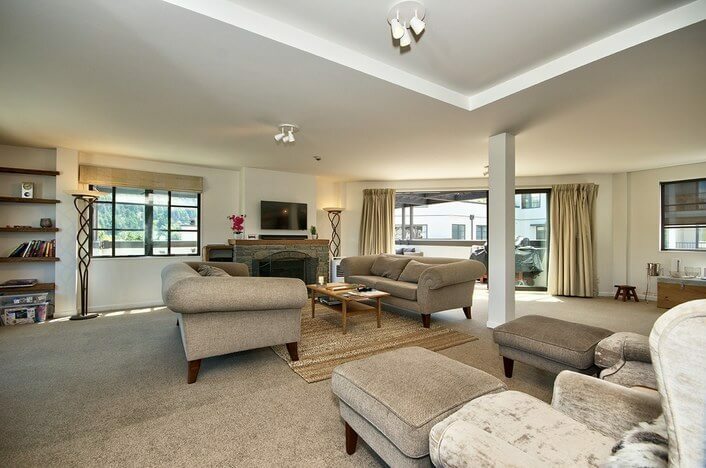 Three bedrooms, all with well-appointed ensuite. Upstairs is the master bedroom with spa bath. 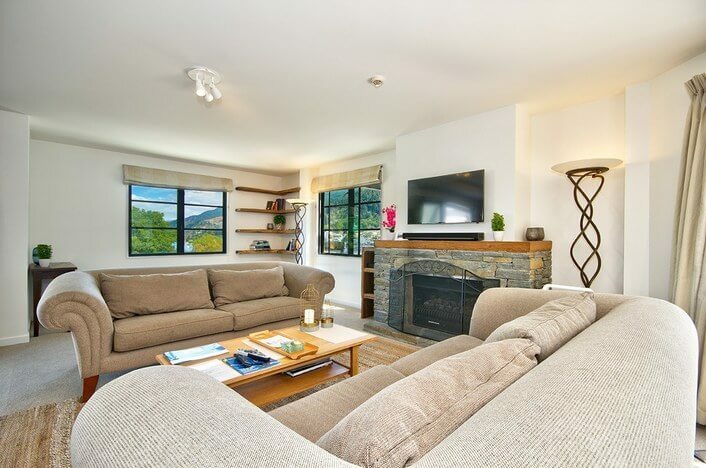 Downstairs 2 bedrooms 2 bathrooms. 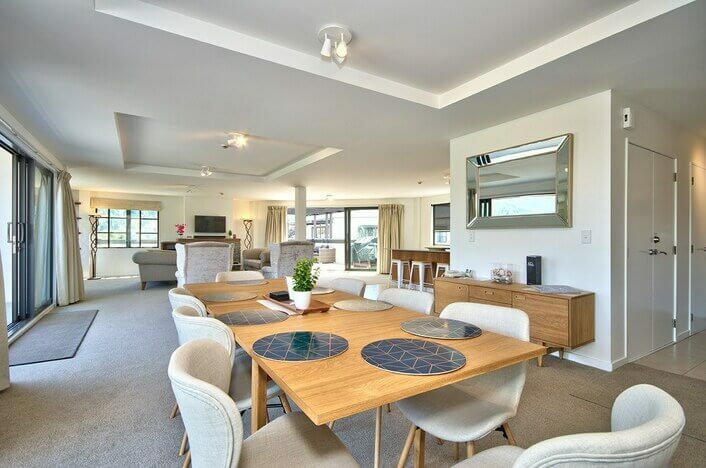 Gas fireplace and underfloor heating to keep you snug on the chilliest of nights. 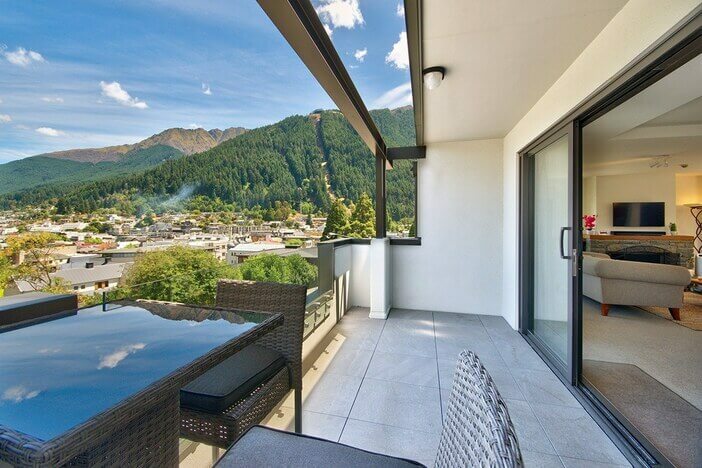 After a full day of activities - wine tasting, golfing, shopping or outdoor adventure pursuits -- you can relax on the balcony with a local Pinot Noir and admire the stunning scenery. 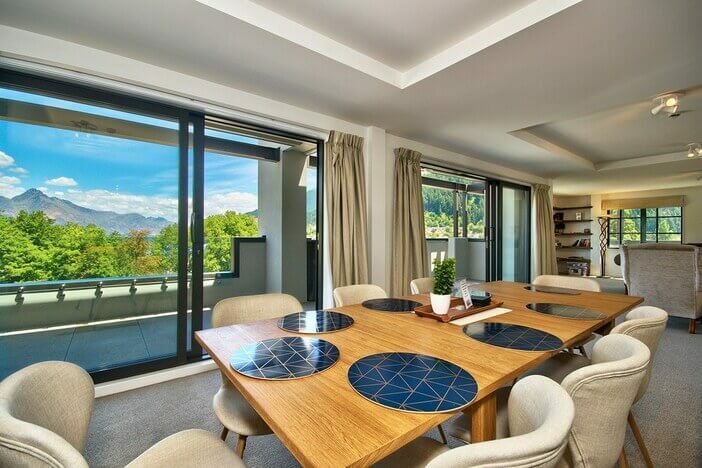 You might prefer to create your own culinary masterpiece in the fully-equipped kitchen or step out to one of Queenstown's award-winning fine-dining establishments, just a minute's stroll from your Penthouse. 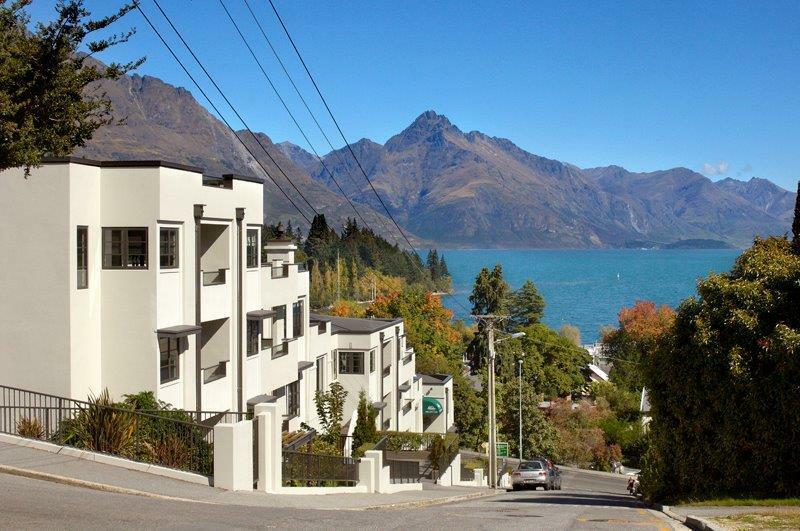 And Queenstown's legendary nightlife awaits. 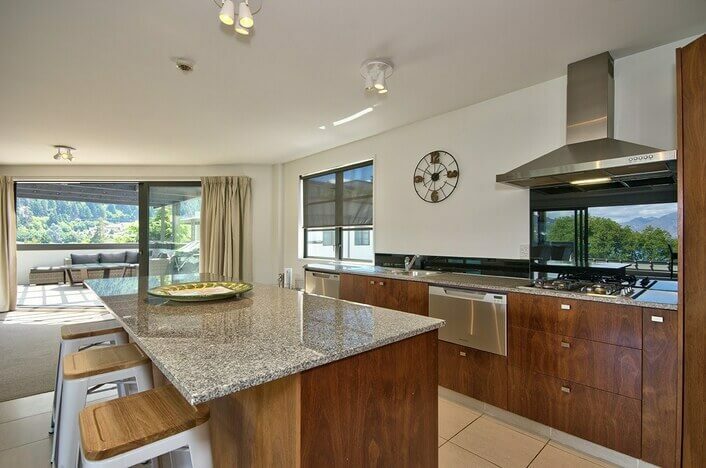 The next morning you'll wake up refreshed and ready for another day in paradise after a peaceful rest. Life is good. 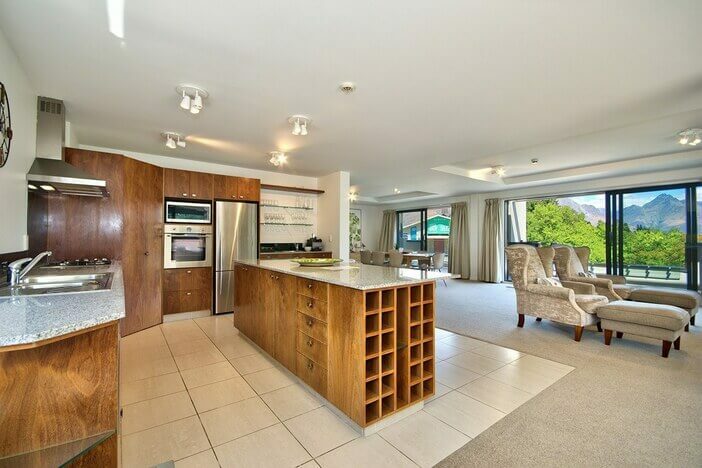 Comfort and convenience characterise the Walter Peak Penthouse.